A water-dropping helicopter doused the flames of the Silver Fire as it burned more than 20,000 acres over a six-day span. The blaze was fully contained Monday evening. Firefighters battling the nearly 32-square-mile Silver Fire fully contained the massive blaze Monday evening, according to the Riverside County Fire Department. 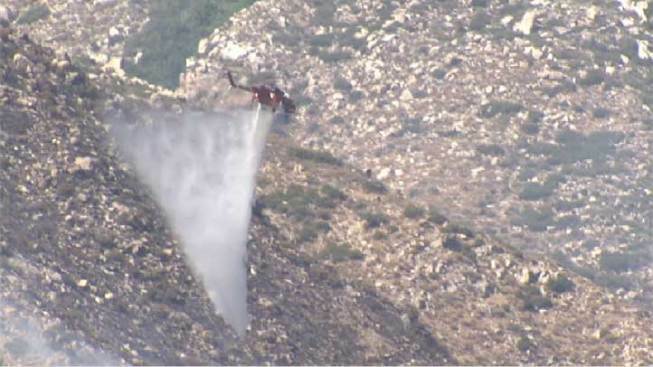 The 20,292-acre blaze in Riverside County injured 12 firefighters and one civilian. The civilian suffered severe burn injuries from head to toe, authorities said. One of the 12 injured firefighters was hurt on the blaze's last day, fire officials said Monday. Some 48 structures were destroyed, including 26 homes, one commercial building and 21 outbuildings. Eight other buildings were damaged, including two homes and six outbuildings. All evacuation orders were lifted Monday, but road damage forced Highway 243 to remain closed north of Twin Pines Road to Wesley Street in Banning as of Tuesday morning. Evacuation centers for residents and their animals closed Sunday afternoon. The Silver Fire broke out on Aug. 7 off Highway 243 south of Banning, 90 miles east of Los Angeles. FIrefighters also brought two other smaller fires in Southern California to a close. 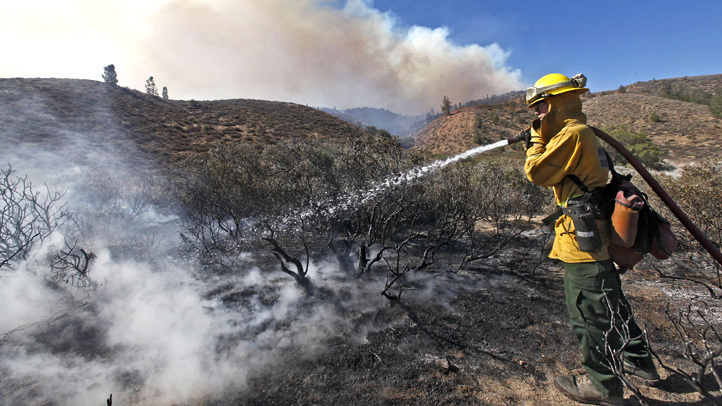 The Sharp Fire in the mountain community of Wrightwood scorched 163 acres and was 95 percent contained. Two firefighters suffered minor injuries and evacuations were ordered for some areas. A fire that scorched about 100 acres in Santa Clarita near Bee Canyon, close to where the Powerhouse Fire burned earlier this summer, was 100 percent contained Monday night, according to the U.S. Forest Service.